One of the largest cycling events and expos in North America is right in our backyard this weekend! The Sea Otter Classic is four days of extreme fun including a variety of bike races, an expo with more than 250 exhibitors, club zones, a product demo area, a ride zone, stunt shows, kid’s activities and a bike playground. The Sea Otter Classic truly has something for everyone. Thursday-Sunday, Laguna Seca Recreation Area, Monterey. Various ticket prices. Spring has sprung in Pacific Grove! Get your fix of lovely wildflowers at the 51st annual Wildflower Show at the Pacific Grove Museum of Natural History. Over 600 species will be on display making this show one of the largest in the western and northern hemispheres. Friday-Sunday, 10am-5pm. 165 Forest Avenue, Pacific Grove. Need a date night idea? Why not grab dinner on Old Fisherman’s Wharf and snag tickets to The Musical! The Bruce Ariss Wharf Theatre plays this classic and much loved play where one story becomes five delightful mini-musicals. Thursday-Saturday at 7:30pm and Sunday at 2pm. 1 Fisherman&apos;s Wharf, Monterey. $10-$25. Catch a performance of the adult musical “Reefer Madness” this weekend at the Paper Wing Theatre in New Monterey. The crazy comedy is a musical satire of the cult classic “Reefer Madness” made popular in the late 1930’s. Friday and Saturday at 8pm, 320 Hoffman Avenue, Monterey. $20-$23. The Monterey Symphony presents From Fertile Ground this weekend at the Steinbeck Institute of Art and Culture and the Sunset Center. Director and Conductor Max Bragado-Darman leads the symphony in works with Czech, French, Hungarian/German and Romanian backgrounds. 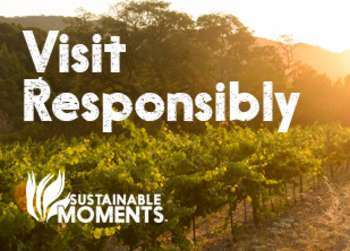 Saturday at 2pm and 7pm at the Steinbeck Institute of Art and Culture in Salinas and on Sunday at 3pm at the Sunset Center in Carmel-by-the-Sea. Various ticket prices. The National Steinbeck Center in Oldtown Salinas hosts special guest astronaut José Hernández. This accomplished former NASA astronaut overcame great difficulties growing up in the Central Valley. Listen to his inspiring story of how he came from a family of farm workers to becoming an engineer and astronaut. This will be an inspiring event in which he will share his newest venture into politics. 5pm-10pm, One Main Street, Salinas. $75. Pavel Haas Quartet makes an appearance at the All Saints’ Church in Carmel-by-the-Sea. Winners of Gramophone&apos;s 2011 "Recording of the Year" perform works by Tchaikovsky, Shostakovich and Schubert. 8pm, Dolores Street and Ninth Avenue, Carmel-by-the-Sea. $30 for general admission and $10 for full-time students. Rock n’ Roll band The Sean Ryan Quartet put on a show tonight at Bullwacker’s. 8:30pm, 653 Cannery Row, Monterey. Free event. Bring your friends to the London Bridge Pub tonight for some acoustic rock jams from Rex Wheeler. 9:30pm, 256 Figueroa St., Wharf #2, Monterey. Free event. It’s Family Day at the Monterey Museum of Art La Mirada! So what does Family Day consist of? For starters its free admission with access to new and exciting exhibits. 11am-4pm, 720 Via Mirada Monterey. Free event. The Wharf Rats jam some awesome covers on the patio at Bullwacker’s tonight. This lively band plays a little bit of classic rock, blues and southern rock. 8:30pm, 653 Cannery Row, Monterey. Free event. Head down Highway One to Fernwood Tavern in Big Sur. Tonight the Donnis Trio plays acoustic rock and folk tracks off of their original albums. 9pm, 47200, Highway One, Big Sur. Free event. Singer-songwriter Casey Frazier is back by popular demand at the London Bridge Pub. If you love Americana and folk then this show is for you! 9:30pm, 256 Figueroa St., Wharf #2, Monterey. Free event. Rise and shine for a birding excursion out on Elkhorn Slough in Moss Landing. Elkhorn Slough Safari takes a crew out for an in-depth look at birds and their northern migration. 9am, Elkhorn Slough, Moss Landing. $42. Catch up with guides from the Monterey Peninsula Regional Parks District for a Fabulous Flowers and Ferns hike in Garzas Canyon. Hikers will take notice of the stunning springtime flowers blanketing the beautiful canyon. The 3.3 mile hike is expected to last 4 hours. Don’t forget to bring water, snacks and to wear good hiking shoes. 9am, Garzas Canyon. Free event. Kids itching for something to do? 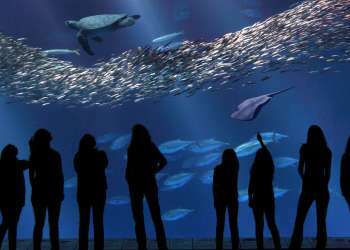 Bring them to the Monterey Bay Aquarium for Dia del Nino. The whole family will enjoy live mariachi performances, a craft room, bilingual feeding programs in English and Spanish and more. Did we mention children under the age of 12 are admitted for free! 10am-6pm, 886 Cannery Row, Monterey. Free with Aquarium admission. Marina’s Farmers’ Market is celebrating kids today! The popular Farmers&apos; Market will be paired with a Kid’s Day Celebration including an appearance from MY Museum’s Wheelie Mobliee with unique family fun activity carts and tables. 10am-2pm, 215 Reservation Road, Monterey. Free event. Ever have one of those days where you just want to vegg out? MY Museum is doing just that… well sort of. Vegging Out Day will consist of a Farmers’ Market with lots of fresh fruits and veggies, an interactive cooking demonstration, face painting and the Dancing Veggies. 12pm-5pm, 425 Washington Street, Monterey. Free with paid admission. Not one, not two, but three bands are jamming at Fernwood Tavern this afternoon. JGB featuring Melvin Seals, Harry & The Hit Men and Birdhouse are here to entertain on this lazy Sunday. 1pm-6pm, 47200, Highway One, Big Sur. $30.